I've had a copy of Final Fantasy XII sitting on my shelf, right next to unopened—and still shrink wrapped—copies of Persona 3: FES and 4, Rogue Galaxy, and the Xenosaga trilogy. I never even bothered to take the disk out of the case until about 4 weeks ago. 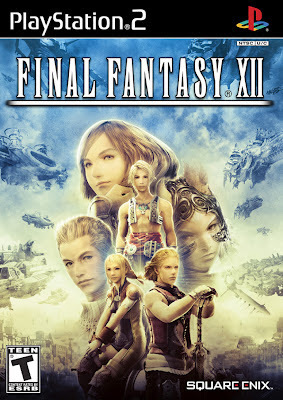 Since purchasing the game, I had completed and quite enjoyed both Final Fantasy X and Final Fantasy XIII. I was pretty exited to sit down and begin bridging the gap between the two. As early as the opening cinematic of the game, Final Fantasy XII has somewhat of an unlikely tone for a Japanese game. There are elements of the what I've experienced that recall FFX as well as other ideas that are clear predecessors to FFXIII, and yet it seems rather Western to me. This world's desert cities are populated by a diverse set of species in a way that is reminiscent of Star Wars (episode 4, specifically), but all of the sci-fi bits appear to have been replaced with Ivalice's unique take on steam punk-ish fantasy. Even the premise of the conflict seems vaguely Star Warsian (yeah, I made that up) with it's spirited group of Dalmascan rebels fighting against the Archadian Empire. I'm entirely convinced that the dozens of hours that follow will be—if nothing else—narratively interesting. After a few introductory bits, I am placed in control of Vaan, who I can easily assume is the protagonist of this story, and shortly thereafter I finally encounter Final Fantasy XII's battle system and level-up mechanic. It is at this point that I realize that most of what I've heard about this game in the past 5 years is true. I've gotten myself into a Japanese RPG that is heavily inspired by Western RPG. But after the first few hours, I really don't mind it at all. In particular, the Gambit system is a welcome addition to the classic Final Fantasy formula that streamlines the battle experience. This system is essentially a series of "if...then" statements that I can use to automate how the entire party operates in battle. Why in the world should I ever have to mash menu buttons when I can set my party members' gambits to attack the target of the lead party member. The menu's are there, but the battle system has been hybridized with a more Western sensibility. The party members will attack without direct command to do so, which frees me to manage the flow of the battle in real-time. Brilliant! 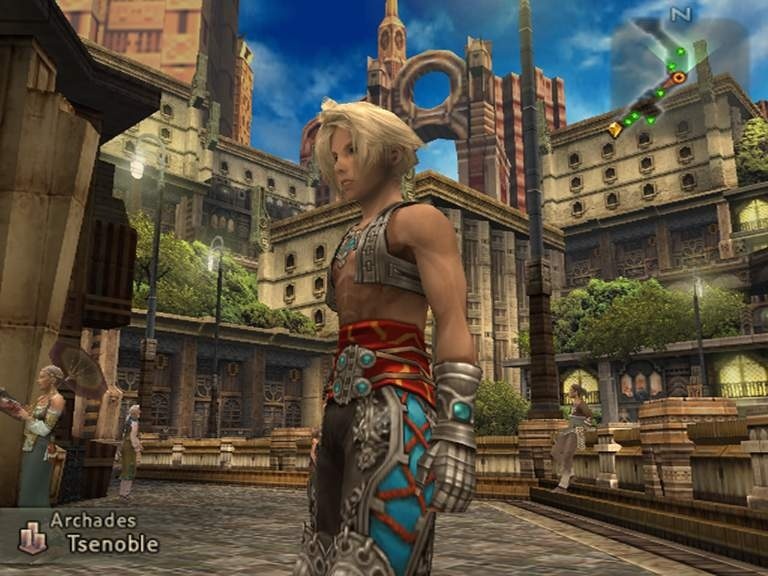 I see why I've often heard Final Fantasy XII compared to an MMO. What the eff is this?! 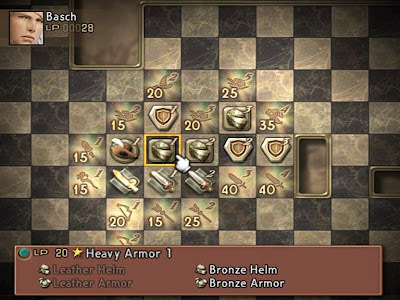 The thing that terrifies me about Final Fantasy XII, however, is the Licence Board. This Licence Board operates much like a highly convoluted version of a skill tree; rather than having branching options of character advancement, you may progress in any direction, building any character into whatever role you'd like them to fulfill. While I appreciate the seemingly infinite level of customization that this should afford me, I know that the finite number of license points I acquire means that I could screw up my party build. I absolutely HATE not knowing how to build an optimal party. For two weeks, I casually press forward, enjoying the progression of the narrative. The distinction between who the good guys are and who the bad guys are becomes fuzzy: a plot device that I always enjoy (à la Star Wars episode 2). Meanwhile, I'm saving nearly all of my licence points for the eventual moment when I finally understand how to best use them. Then I got busy, and I had to set the game aside for a couple of weeks. Seventeen hours into the game, my party sits in Rabanastre, and none of us remember where to go next. Ugh. There should be some sort of in-game journal? I don't really remember. Been quite a while since I played. If nothing else, consult a FAQ. The narrative is hard to piece together just by logical thought processes. I will definitely do this. Thanks!